Schedule Your Dog for Obedience Classes Today! learn more about us... Click here to schedule training for your dog today! Pre-requisite: MUST have CGC certification. Bring copy of certification to first class. Description: The Bright & Beautiful Therapy Dogs, Inc. is a nonprofit organization which evaluates, tests, trains and qualifies owners and their well behaved dogs as therapy dog teams. CABTC is proud to offer this certification program following the standards of Bright & Beautiful Therapy Dogs. This is a 4 week program that will review CGC skills, add specific required therapy dogs skills, provide a ‘mock’ test and finally evaluate the handler team for certification. Click Here to Download Flyer for May, 2019 Class!! Congratulations to the first graduation class!! Tricks and Games Class begins a new session on 4/23/19. There are still openings in the class, so sign up now or be left out!! 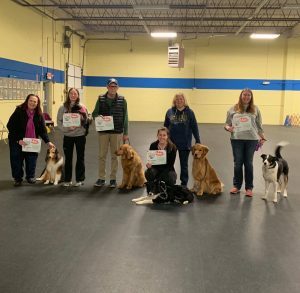 *********** LOOKING TO GET YOUR DOG A CGC CERTIFICATION? CABTC will be holding a CGC certification on May 02,2019 from 6 PM to 8 PM. Go to Special Events for Signup information! **********The June Rally Trial Premium List is Now Up Under Trials for Downloading**********A new Therapy Dog Certification Class is now open for registration see Therapy Dog Certification Tab under Classes for more information! **********!The May, 2019 AKC Scent work trial is open. Entry for all 4 trials is limited, so it pays to register early!! 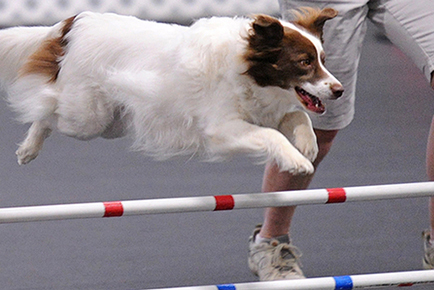 **********The First Agility Trials at CAPS Field House are now up on the site. The May 17, 18, 19 , 2019 Trial is open now. The May 31st, June 1st and 2nd CAPS Trial is now open! Premium lists are up now under Trials/Agility Trials!